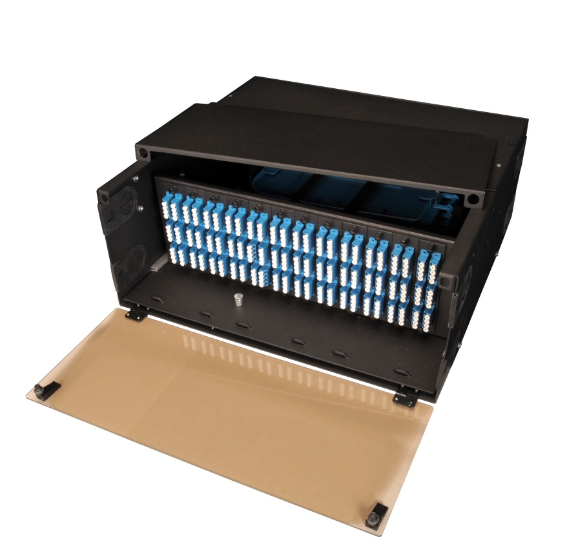 Fiber optic patch panels are integrated units for fiber management which allows for different types of fiber optic cable to be spliced together and routed to different points in a building. 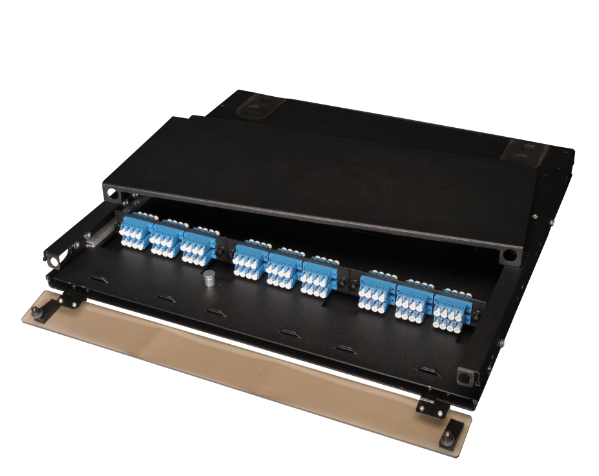 A fiber patch panel not only enables electricians and network engineers to connect and manipulate cables, it also offers a safe working environment for upgrades, retrofits and more. 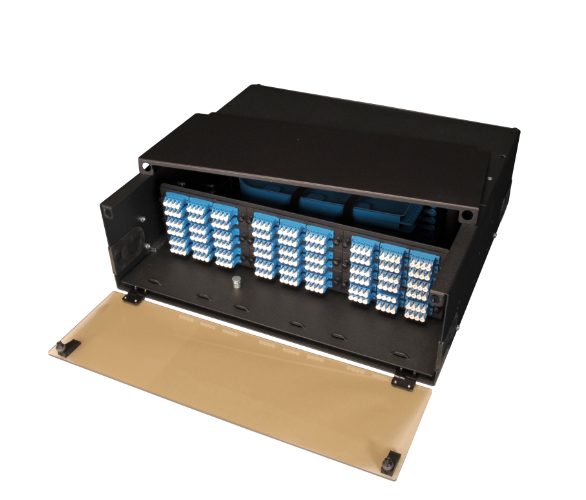 TTI Cable slide out patch panels are designed to provide connectivity and distribution solutions. These panels are supplied with universal mounting hardware for 19” or 23” mounting ears and are designed to support the storage of splice trays. 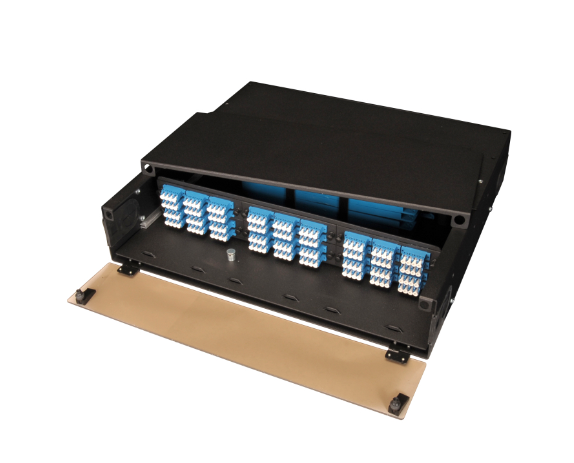 Each panel can be ordered fully terminated with adapters and pigtails, saving valuable installation time and labor expenses. We can also customize your logo onto the panel body or any other applications.